Mt. 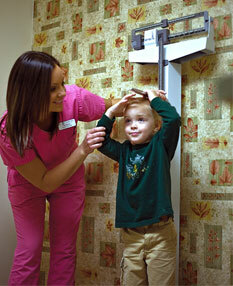 Juliet Family Care and Walk-In Clinic provides comprehensive primary, specialty and urgent care for your whole family. That means if you have something minor like the sniffles or a stomach ache or something more serious like diabetes or high blood pressure, come see us. We're good listeners and we'll take the time to thoroughly listen to all your concerns. From there, we'll give you the personalized care you need and together we'll treat your illness or injury. Our goal is to get you feeling 100 percent again! We aren't only concerned about your short term health, but about your long-term health too. During your visit, we'll work with you to create a plan emphasizing wellness and preventative medicine - such as recommend foods that can help boost your immune system and reduce recovery time, explain what to do if you feel that the symptoms are coming on again and educate you about healthy lifestyle practices. We want you to be informed and confident when you leave our office.